My kids love stuffed animals, so I thought it would be a great idea if we "adopted" one! 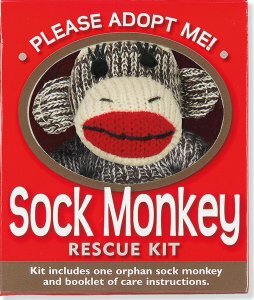 I came across the Sock Monkey Rescue Kit from Peter Pauper Press. The kit includes an orphan sock monkey, care instructions, and even an adoption certificate! The boys absolutely loved the process of filling out the adoption certificate and learning how to "care" for the sock monkey! The only problem is, they fight over who gets to sleep with it at night; guess we'll be adopting another one! Awww! No one can resist the cute little Sock Money in the window! 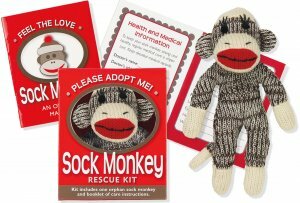 This adorable "Sock Monkey Rescue Kit" contains an orphan Sock Monkey for you to adopt and Feel the Love, a 16-page Owner's Manual that includes a Certificate of Adoption, tips on caregiving, and places to record Sock Monkey milestones. 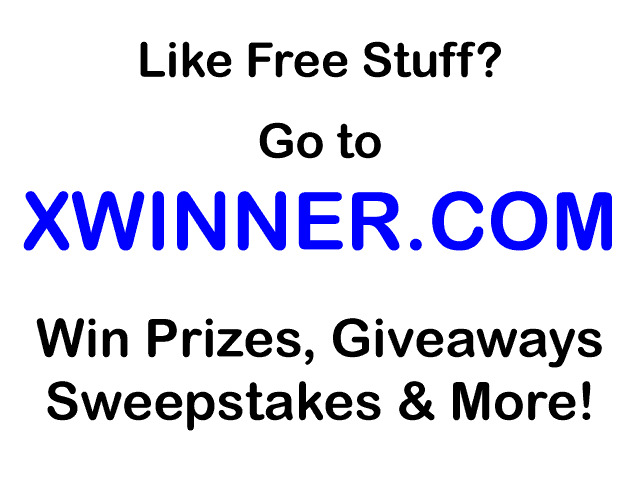 One lucky Giveaways for Mom reader will win a Sock Monkey Rescue Kit from Peter Pauper Press!